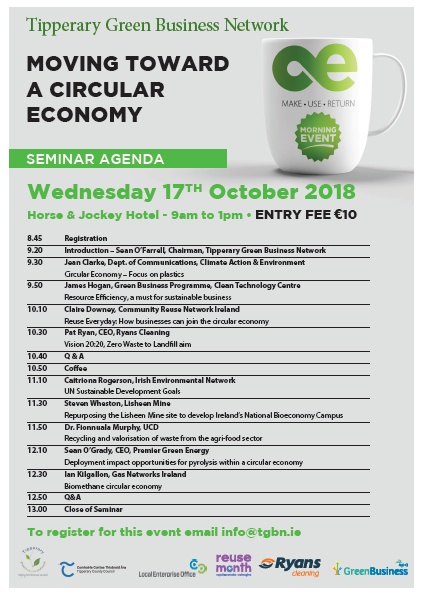 As part of this event, there will be an office display highlighting how to reuse everyday at work and attendees will be participating in a Reuse Month Office Swap Shop, where they will trade second hand office supplies and business books. A light lunch will be served to all attendees courtesy of the Regional Waste Management Offices and Community Reuse Network Ireland. There will be a small admission fee of €10 towards other costs. This event is open to everyone and all are welcome.